Macedonia Facts | Cool Kid Facts . Macedonia is a Southeastern European country known for its history as one of the world’s great empires. Today, the country is much smaller and is notable for its many mountains, lakes, and plant and animal species. Lowest point: Vardar River at 164 ft. Highest point: Mount Korab at 9,068 ft.
Macedonia is a landlocked country in Southeastern Europe, meaning it doesn’t border any oceans or seas. It’s a land of large hills and deep valleys surrounded by mountains. The Dinaric Alps contain the Korab Mountain Range, which is home to the highest point in Macedonia. The country also holds over 1,100 water sources. This includes major lakes like Ohrid, Prespa, and Doiran. Major rivers include the Bregalnica, Crna, and Vardar. The Vardar River divides the country and flows on through Greece. Most of Macedonia has a mild climate. Winters are fairly cold and humid, while summers are dry and warm. The spring is colder than the fall. Macedonia is home to many species of plants and animals. Because of the impressive diversity of species, Macedonia has three national parks and many other protected sites and reserves. Bears, deer, boars, and wolves roam the region’s mountains. In total, Macedonia contains up to 3,500 plant species, plus 485 species of vertebrate animals and 6,844 species of invertebrate animals. The ancient kingdom of Macedonia was first established by Caranus in 808 BC. The name “Macedonia” is the oldest surviving name of any European country. Later kings expanded Macedonia’s territory and made it into a great European power. Phillip II defeated all of Macedonia’s neighbors: the Greeks, Thracians, and Illyrians. Phillip’s son was the legendary Alexander the Great. Alexander conquered parts of Asia, the Mediterranean, Egypt, and more. At this point, Macedonia was the world’s largest empire. After Alexander’s mysterious death at age 32, Macedonia was divided and ruled by different European powers. 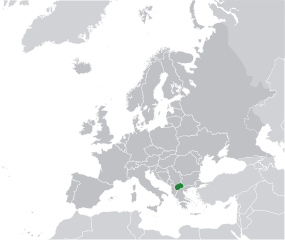 In the 15th century, the Ottoman Empire took over and ruled Macedonia until 1912. 100,000 Macedonians helped Greece, Serbia, and Bulgaria defeat the Ottoman/Turkish army. However, Macedonia was denied independence and divided between these countries. After World War I, Macedonia again tried to gain independence. Instead, the nation became part of Yugoslavia. 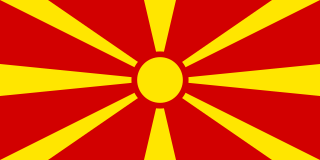 In 1991, Macedonia finally gained independence from Yugoslavia. Kiro Gligorov was elected the first president. The country is now a member of the United Nations and a candidate for NATO and the European Union. However, Greece has blocked Macedonia from joining NATO because of disagreements over Macedonia using Ancient Greek names and symbols. Today, Macedonia is a parliamentary republic with both a president and a prime minister. Macedonia’s major industries are agriculture, textiles, chemicals, and the automotive industry. The country is also involved in construction and food processing. 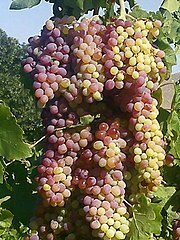 Main agricultural products in Macedonia are grapes, wine, tobacco, eggs, milk, and a variety of vegetables. Macedonia is not one of the wealthiest countries in Europe, but it has improved since gaining its independence. Political corruption has kept the economy from being more successful. Unemployment is high, at about 23%. The country’s currency is the Macedonian Denar (MKD). The dominant language in Macedonia is Macedonian. The country also recognizes six minority languages: Albanian, Turkish, Romani, Serbian, Bosnian, and Aromanian. 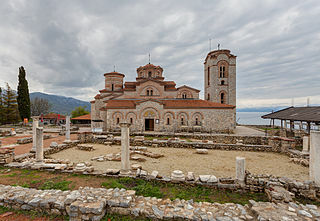 Most Macedonians practice Orthodox Christianity and belong to the Macedonian Orthodox Church. About 32% of the country is Muslim, and there are small amounts of Catholic, Protestant, and Jewish people. Food is Macedonia is Balkan and Mediterranean with Turkish influences. Popular dishes include kebapcinja (grilled beef kebabs), taratur (yogurt with shredded cucumber), and baklava. 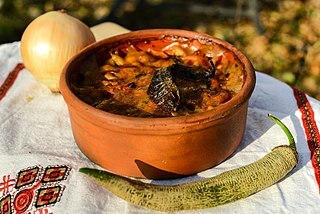 Other Macedonian specialties are a sauce made from sweet red peppers called avjar and selsko meso (pork chops and mushrooms in brown gravy). Major holidays include Orthodox Christian and Islam religious holidays, plus historic holidays like Independence Day. Independence Day is celebrated on September 8, marking the day in 1991 when Macedonians voted for independence from Yugoslavia. Macedonia’s Lake Ohrid is one of the deepest lakes in Europe. Estimated at over four million years old, it’s also the continent’s oldest lake. Lake Ohrid has around 200 species of fish, and many of them can’t be found anywhere else in the world. Macedonia has more mountains and mountain peaks than anywhere else in the world. The small Macedonian village of Vevchani has declared itself the Independent Republic of Vevchani. It even has its own passports and currency.